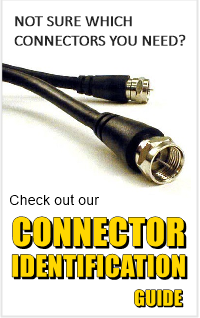 Welcome to the Centerfire Antenna Home Page! The site menu is located at the bottom of every page. There are also product links on the left side of the page. Place your order by clicking the “Add to Cart” buttons at the bottom of each page. You’ll be directed to a Paypal Shopping Cart where you can pay with a credit/debit card or with your Paypal funds. Orders usually ship via USPS Priority Mail within 2 business days. If we run into a delay we will contact you with the estimated time it will take to process your order. We will also post any known delays or shop schedule changes at the top of this website. 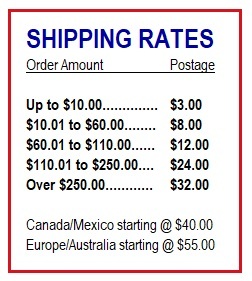 Shipping rates are based on the dollar value of your order and we try to keep the cost as low as possible. You can view our current shipping charges on the Ordering Info page. Personal checks and USPS money orders are accepted by mail. Please check our Ordering Info page for mail-order details. The Ground Plane Kit selection has been expanded. Now you can use your favorite mobile or handheld antenna as a field expedient base station antenna! Create your own custom Ground Plane Kit with BNC, SO239 or N connections and a choice of three different ground radial lengths! We’re happy to announce our new line of Folded Dipole Scanner antennas! Available for the commonly used frequencies between 118 and 900 MHz.